Mentor and Speaker, Breakout Session "The Changing Face of Global Leaders." Fred Soykan’s career with McDonald’s Co. began in 2001. He worked for the Restaurant Operations as a Restaurant Manager until 2006. In 2006 Fred was promoted to HR department as a HR Specialist where he provided leadership and support to the Restaurant Management and staff employees in numerous areas such as: staffing, retention, Crew and Management Orientations, and labor relations. In 2008, he was promoted to a HR Consultant position for McOpCo organization. 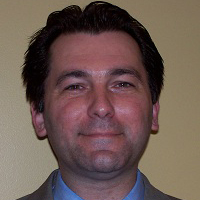 Currently, Fred is HR Director of the New York Metropolitan Area. Fred earned his Bachelors degree in Human Resources, Bursa, Turkey, and a Masters in Business Administration from Johnson & Wales University in Providence, Rhode Island. His accolades include: in 2006 and 2007 HR Initiative Execution Award, in 2008 HR Business Partner Award.